We want to learn by doing here at ItB. Our hope in reviewing is not to get more pageviews or people to like us, but to be helping you guys interact with a wide range of writing, as well as develop tools to understand and benefit from the reading you’re doing. We’re very much about enabling you guys to build skills, and that’s why we try hard to build in good perks (like free books) that can help you guys get access to stuff you wouldn’t otherwise have. In short, we want to write concise, accurate reviews that reflect the truth and the worthwhile bits of the books that you’re reading. We do want you to review everything you read, but the hope is that through reading discerningly, you’ll eventually hit more great books than bad ones. The focus on ItB is very much the great stuff, not just a firehose of good and bad. We want to highlight what’s worth reading in an age of information overload. So first and foremost we want to make you guys better readers. I believe that will come through practice and engaging with the community around you. We’ve got a lot of different reviewers from different backgrounds and with different experiences. I’d encourage you to be using Slack for comments and discussion even as you’re reading. We’re not there yet, but I’d like Slack to become a hub of communication and discussion privately amongst ourselves, before anyone even sees anything on the website. 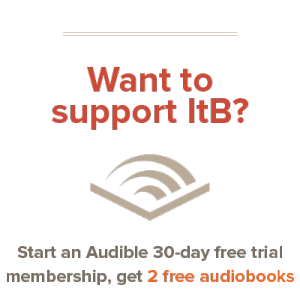 At ItB we look for concise and accurate book reviews. Four to eight paragraphs is generally our baseline as far as length. This is long enough to give the reader important details, but short enough to keep their attention. Sometimes you’ll run across a totally packed book (like anything by J.I. Packer), and in these cases it’s ok to go longer. Above all, avoid fluff and meaningless writing. If there’s no point to what you’re writing, no one will benefit from the review and you yourself will get discouraged and burnt out. First, start your review with a catch. This is the hook that brings the readers in. It should summarize the plot or meat of the book in a back-cover-blurb sort of way. Above all, you want to give the reader a clear reason why this book is helpful for them. No book is perfect for everyone, but appeal to those who might benefit from it. Use the if, “This book is great IF you’re a theology student looking to learn more about the incarnation,” or, “This book is great IF you have a son who’s read everything in the library but loves fantasy and riddles.” This gives our viewers a clear-cut invitation to read more if they’re interested, or saves their time if they’re not. No need to be formulaic, but you want to get your thesis — why the book is worth reading (or avoiding) — out the door right away. If you’re reviewing a novel, a paragraph or two of summary is helpful. What makes the plot unique? What stands out? Be careful not to give away too much, but explain what grabbed you, what makes the book special and stand out from the pack. Good things to focus on here are plot and characterization. When you close the back cover, what will you miss the most from the book? Play on its strengths and make a compelling case for why it’s worth reading. If you’re reviewing non-fiction, it’s a bit more straightforward. Take a paragraph to leave a concise outline of the book. This should cover major topics and the general flow of the argument and content throughout the book. I find tables of contents a great place to refresh my memory on the twenty-thousand-foot view of the book and give me a starting point to go through the emphases of the book. Shoot to emphasize no more than three main points. Next, take some time to get into the facts. How was the writing? Did it put you to sleep? Is the content worth it despite the writing style being a snoozer? About what level does the book fall at? Does it have a very broad appeal or a very narrow appeal? Thinking critically about these things will not only help our viewers, but will help you to nail down the main message of the book, since you will have to think about who the book is appropriate for. Last, take some time to give your own feedback on the book. We use first person in our reviews, none of “this reviewer thinks” nonsense, so don’t be afraid to let yourself color your assessment of the book. Ultimately, we want readers to learn who you are as a person — what you are and what you like — so that even if they don’t agree with you, they can use your assessments to make their own about the book. Again, here is a place to make a case to readers why they should read this book. What makes it worth reading in a world where thousands of books are published every year? At the end, leave readers with a little piece of truth to take home. Restate your main thesis from the introduction, and give an endorsement (or warning) for the book. If the book itself includes a challenge, include it to get the reader fired up and excited about reading the book. You’re selling the message of the book, and your review is a silent endorsement that the message is worthy and needs to be shouted out. If you can’t get behind a book like that, express your reservations: no need for hollow platitudes. We want to draw attention to the good stuff that’s out there. There are shades in between all of these, but every review will have almost all of these components to varying extents. It’s my hope that following these principles will help you to read critically and carefully, even before you write your review, so that when you do write, you’ve thought about the message of the book in the light of the above, and you’re ready to tell the world what you think. First, navigate to the WordPress dashboard in your web browser. Enter in your login information, and you’ll be redirected to your dashboard (If you’re already logged in, you’ll be taken directly to your dashboard). This is the WordPress admin dashboard. Click on the ‘Reviews’ link on the left sidebar to get started. Create a new post by clicking ‘Add New’ at the top of the page (I’ll assume that you’ve already written your review in a word processor like Microsoft Word). This will open the post editor. Enter the title of the review just like this: Screwtape Letters. Below the title are two fields for book author and star rating. Enter in the author’s name and your star rating, out of five, in text (e.g. ‘three’). The site will take care of making the stars display properly. At the far right of the post editor, there are two tabs: Visual and Text. By default the New Post window opens in Visual Mode. Please select the HTML view if you are pasting your review in. Be sure to paste your review into the HTML tab of the editor. Once you’ve done that, you can go back to ‘Compose’ mode, but always paste the review into HTML. Pasting the review into HTML mode will do some annoying things, like strip out your formatting, but it’s necessary because it ensures that all of the reviews will follow the consistent style of the website. So before you can go any further, you’ll have to put your formatting (bold/italic) and possibly line breaks back in. Go ahead and do that. Category organization is so much simpler than it was on blogger. First, select a category on the right hand-side of the window. Select the one best category that your post fits in. Only if it doesn’t fit anywhere else should you select General Fiction or General Non-Fiction. Also, check the ‘Review’ category since we also have other types of posts on the blog now. We can add new categories if there’s a clear need, but for the most part reviews should fit in our ten broad categories. To find an image, just pop open Google or Bing image search and type in the title . Usually finding a cover of the book is easy if you just type “Sample Book by Joe Shmoe” or something like that. Be sure you’re saving a full-size image with no white space or padding around the image. We want just the cover. Save the image somewhere on your computer where you can get to it again. Now return to WordPress, and click on the right-hand sidebar where it says ‘Set Featured Image.’ You should see a large upload dialogue, use it to navigate to your image on your computer. That’s it. No more resizing, no more alignment, nothing — WordPress handles that all automatically. One last thing: Sign your name. This makes sure that our email subscribers can know who wrote each review. Then, click the big, ‘Submit for Review’ button. Your post will be submitted, and I’ll do a quick run-through on formatting and schedule it to go live on the site. I also need to add our Amazon Associates links manually, which is why you can’t publish straight to the site. Once it’s live, you’ll be notified on Slack and you can share it around wherever. That’s all for now, folks!